According to a report out of New York, two women who fled their apartment after finding bats want their landlord to pay them a million dollars. The tenants say they saw the first bat fluttering around one of the rooms of the apartment. They called the super, and he caught and removed it. 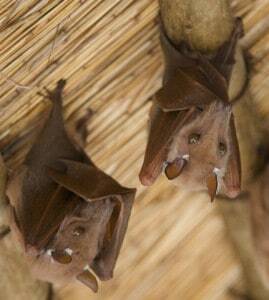 A few days later, the tenants found a bat in the bedroom curtains. They again complained to the landlord, who they say was unresponsive. The tenants decided to undergo rabies shots after one woman noticed marks on her arm. The report does not indicate if the bats were captured or tested for rabies. The tenants left the $3,000 per month apartment and moved in with relatives. They say they have experienced pain and suffering, and difficulty sleeping.